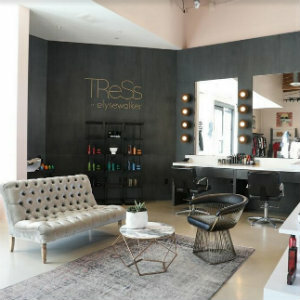 TReSs Apothecary + Salon’s sought-after blowouts, dry styling and hair treatments at Lido Marina Village are now available by appointment at elysewalker Newport Beach. In addition to on-the-go hair services, the salon will also offer makeup application, from full face to touch-ups. The menu of beauty options includes for hair--Best Tressed, shampoo and blow out for 30 min. at $55; Tress Tease, dry styling, iron work, and braids for 15 minutes at $25. Makeup services include Camera Ready for full makeup application for 60 minutes at $100; Good to Glow, an eye or lip and cheek application for 30 minutes at $50. Add-Ons include So Extra, a faux lash application at $25; and Treat Yo Self, an instant replenishing treatment at $25. Come in for a quick blow out and leave fully styled, head to toe. To book an appointment, email hello@tressapothecary.com or call 949.877.0112. TReSs at elysewalker is located at 3444 Via Lido in Newport Beach.